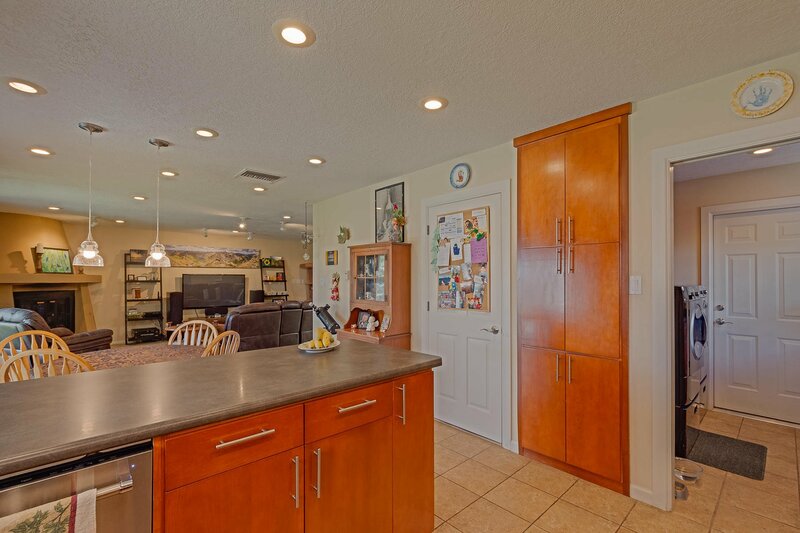 Enjoy the tranquil and relaxing indoor and outdoor living of this open concept home with a covered patio and 2 car attached garage. 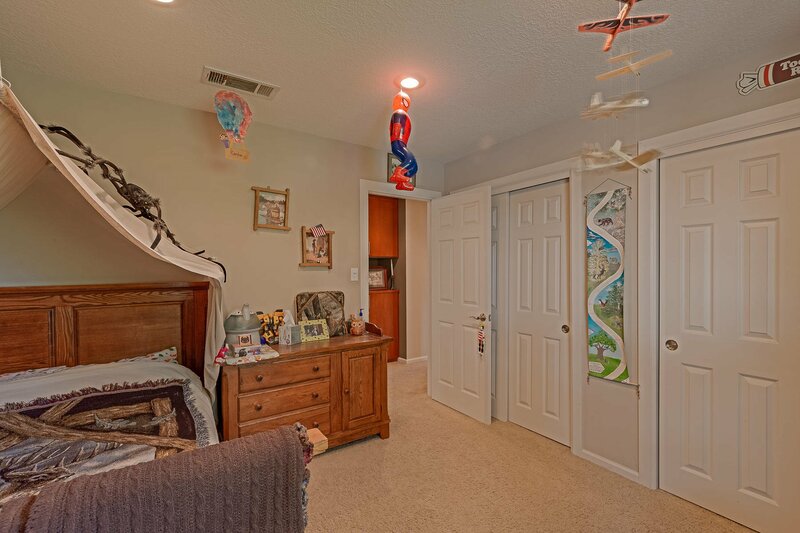 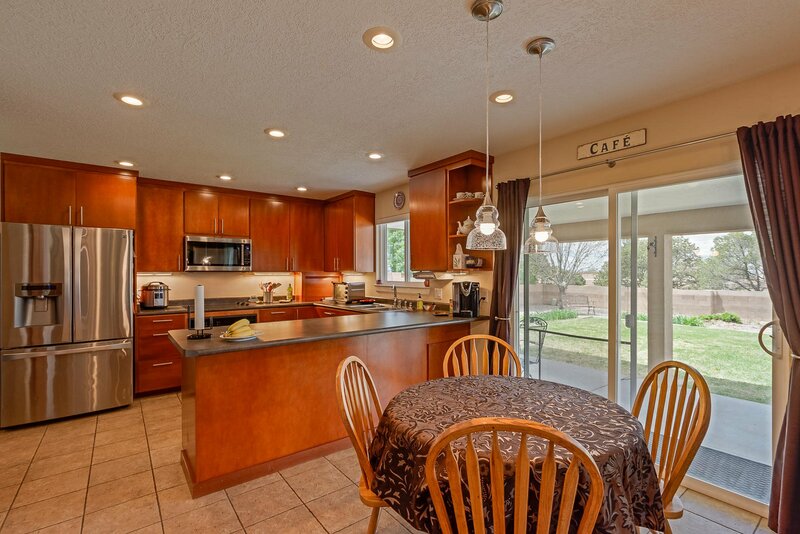 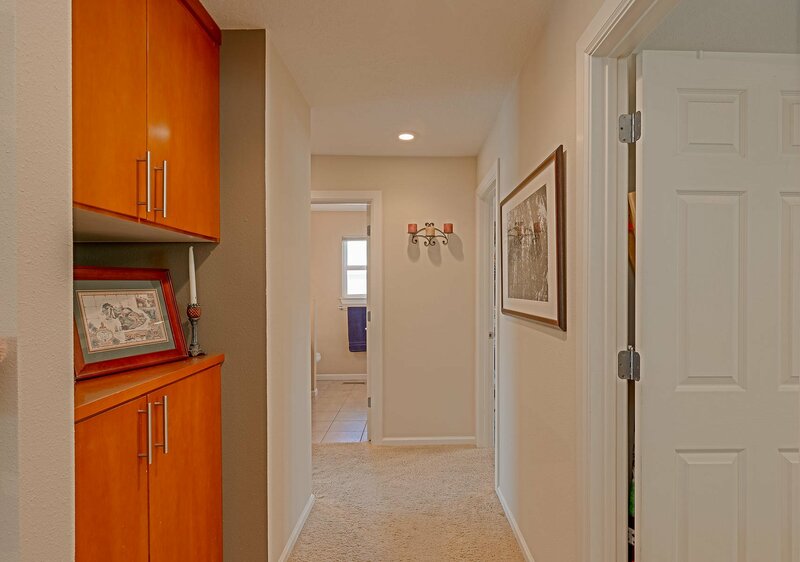 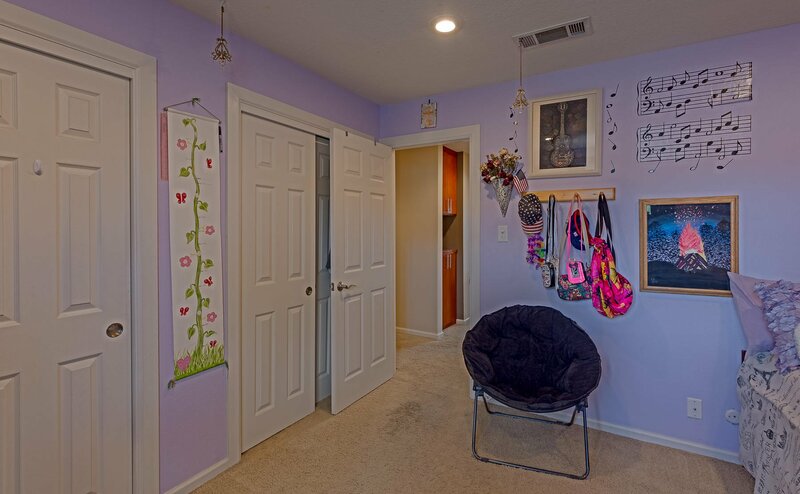 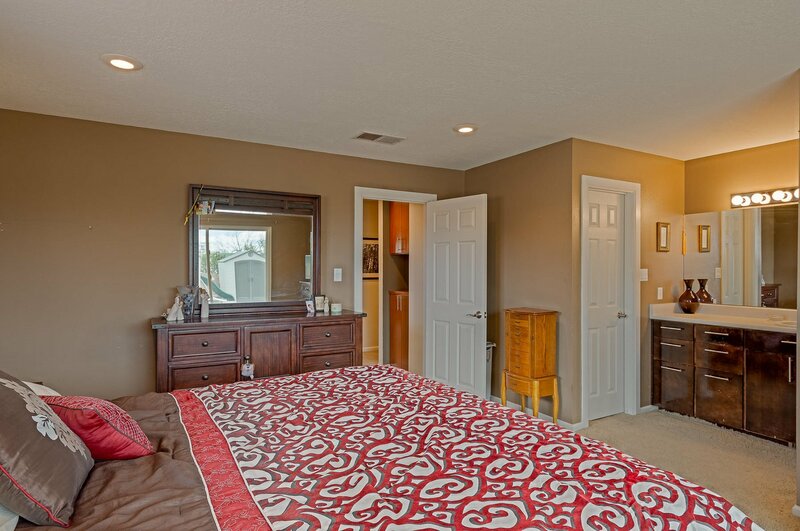 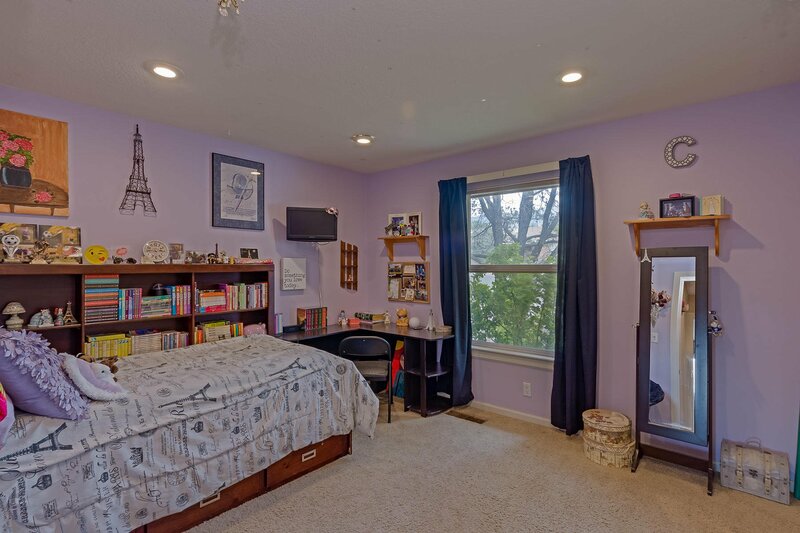 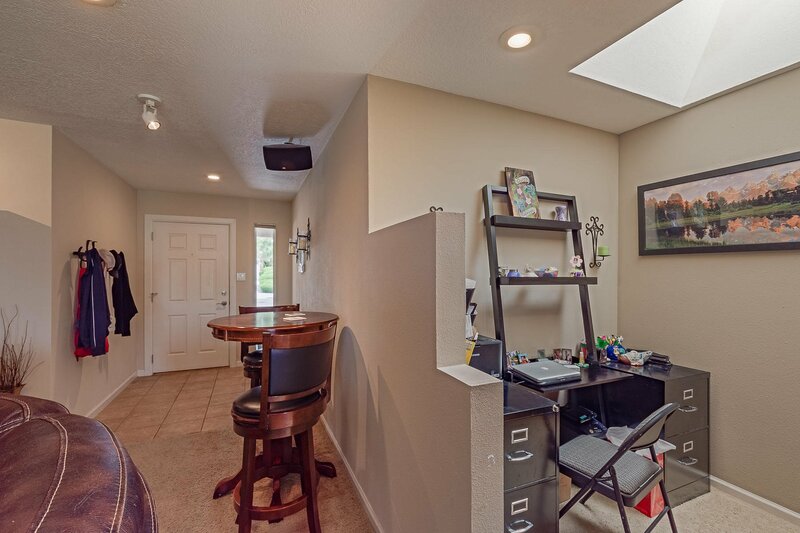 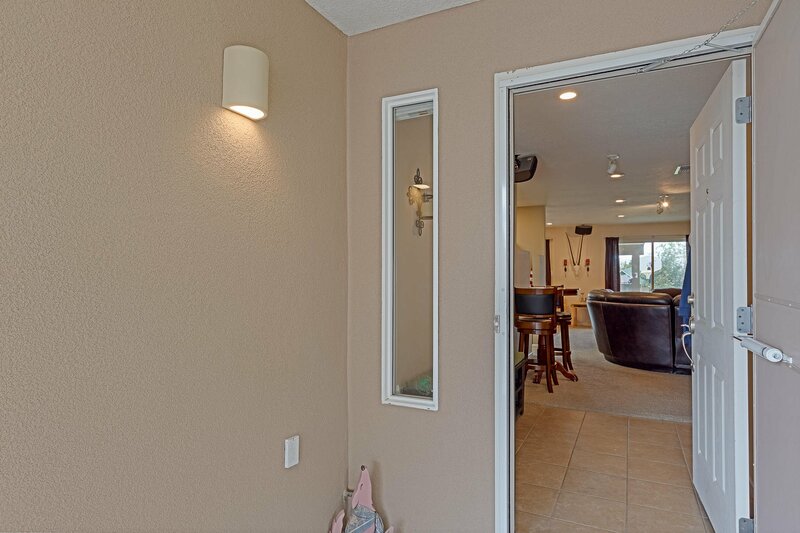 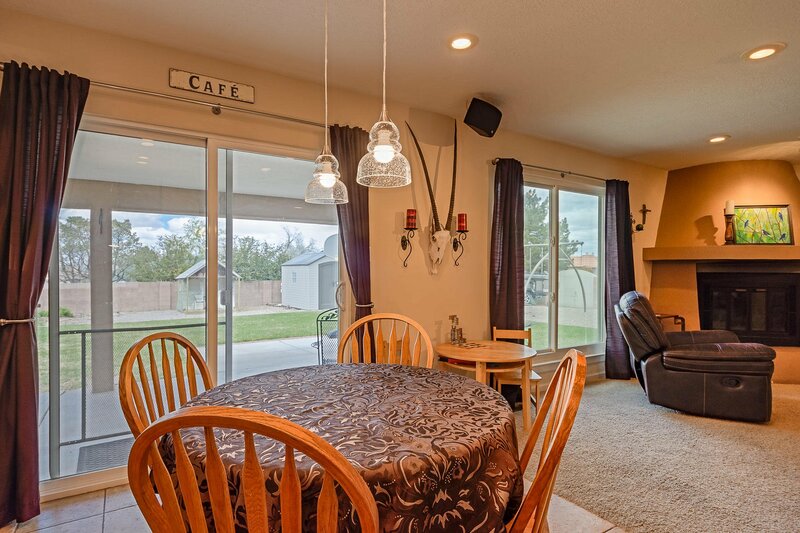 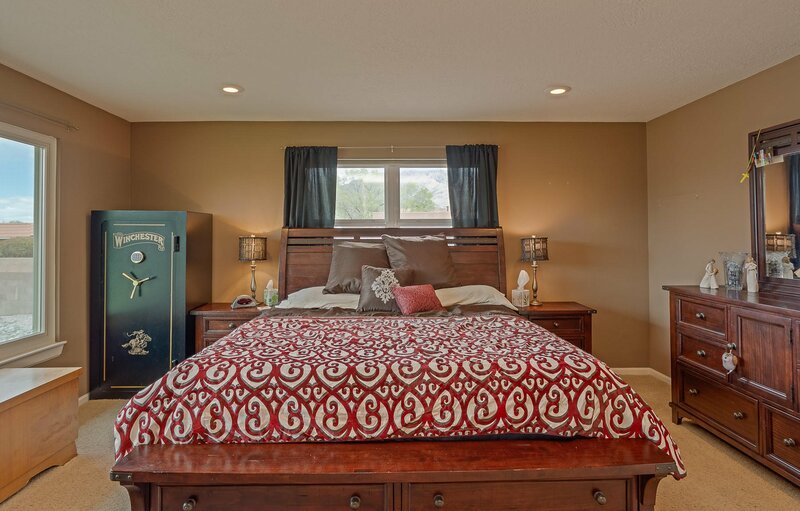 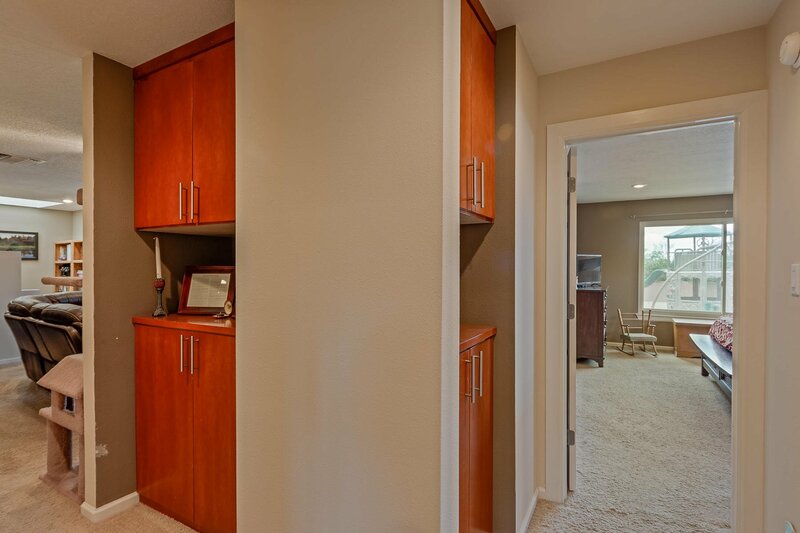 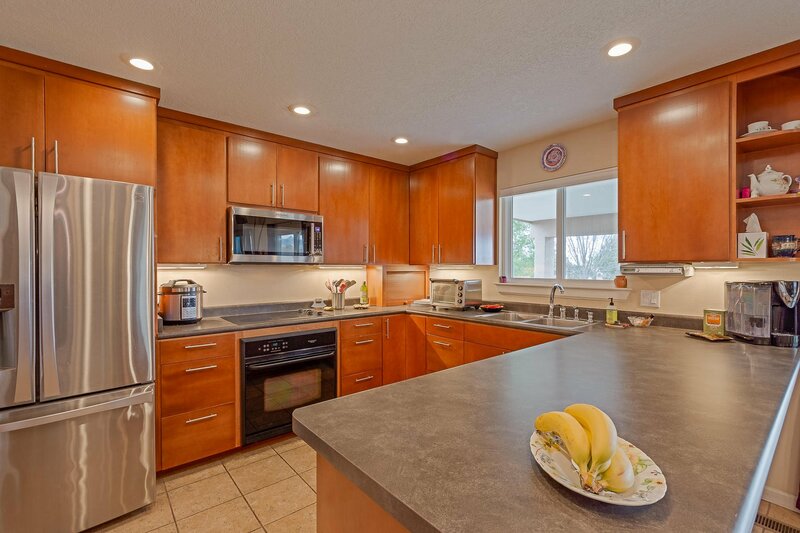 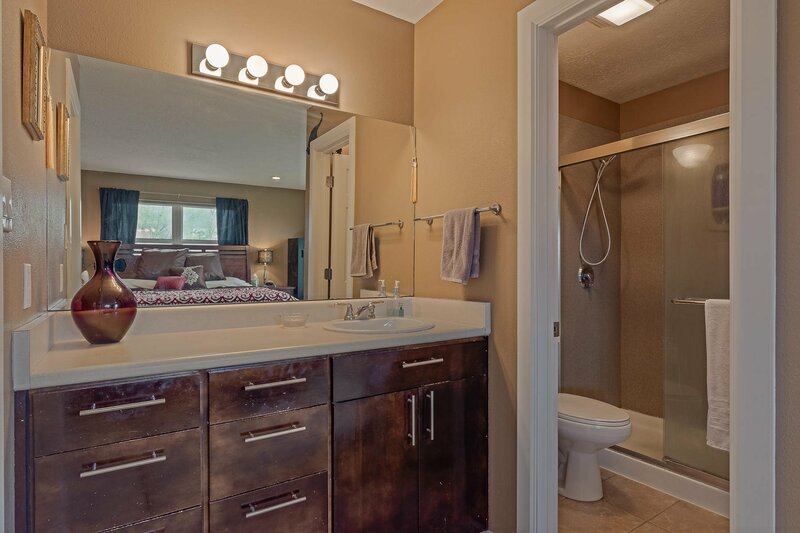 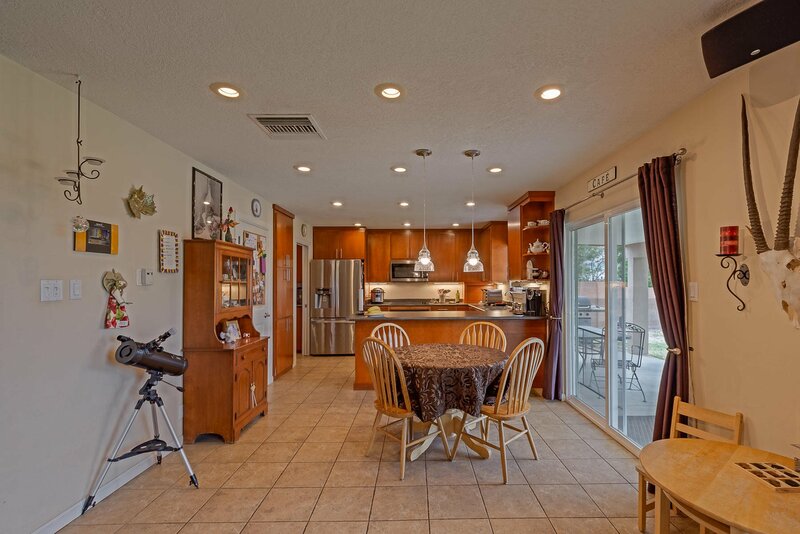 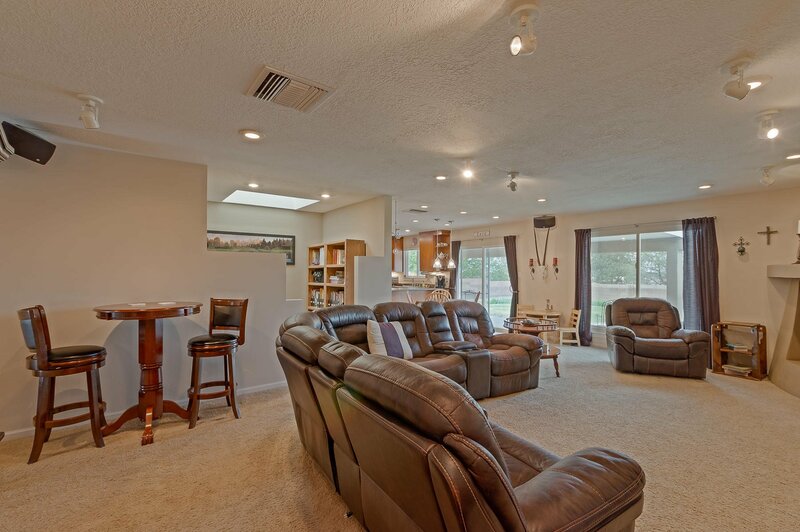 Gorgeous single story 3 bedrooms, and 1 3/4 bath home in the Eldorado School district. 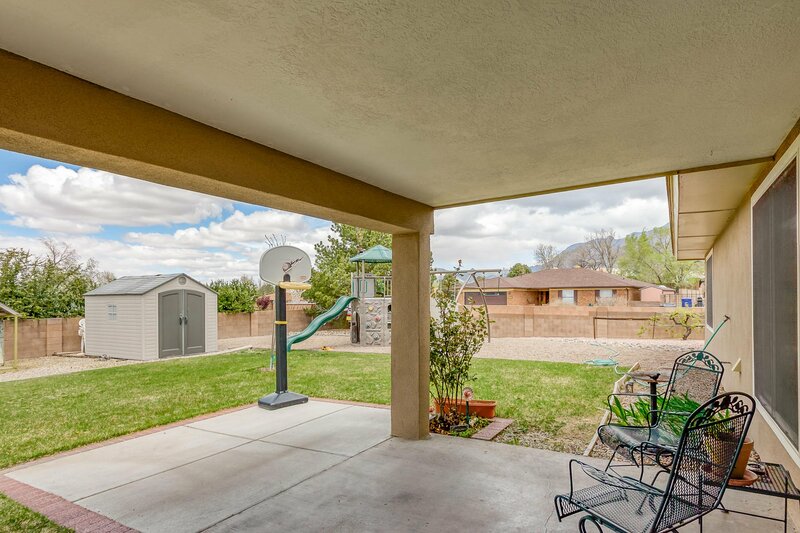 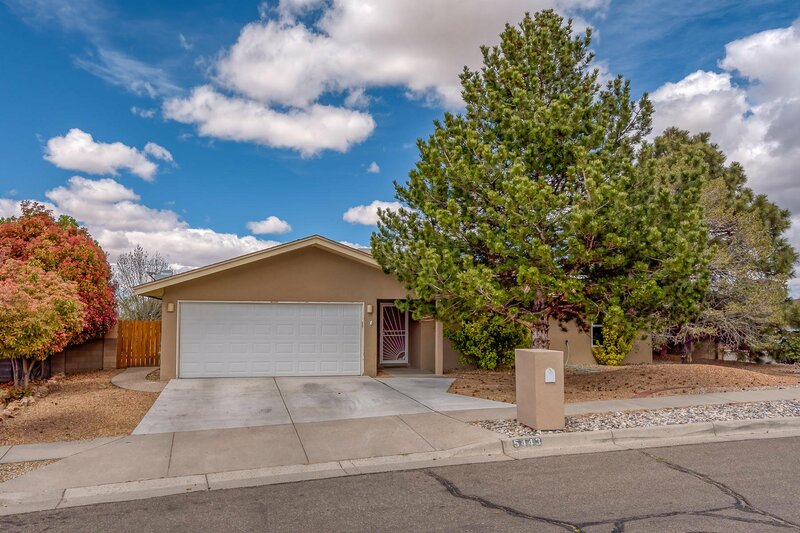 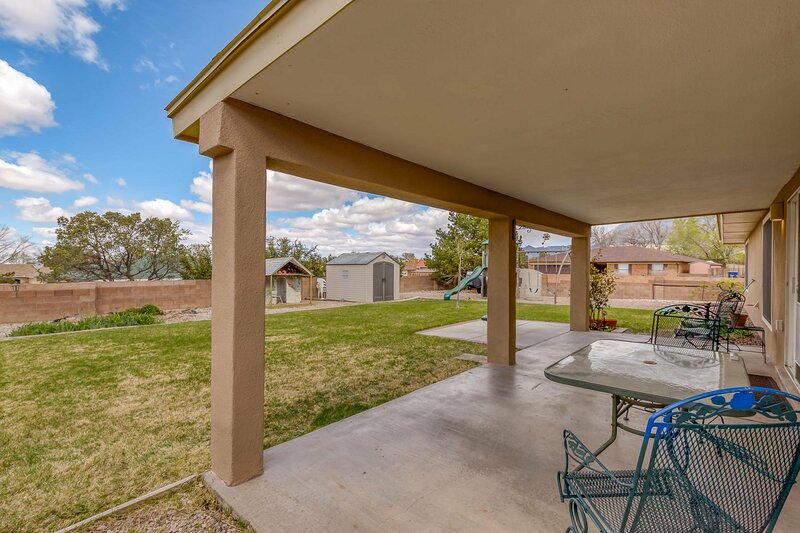 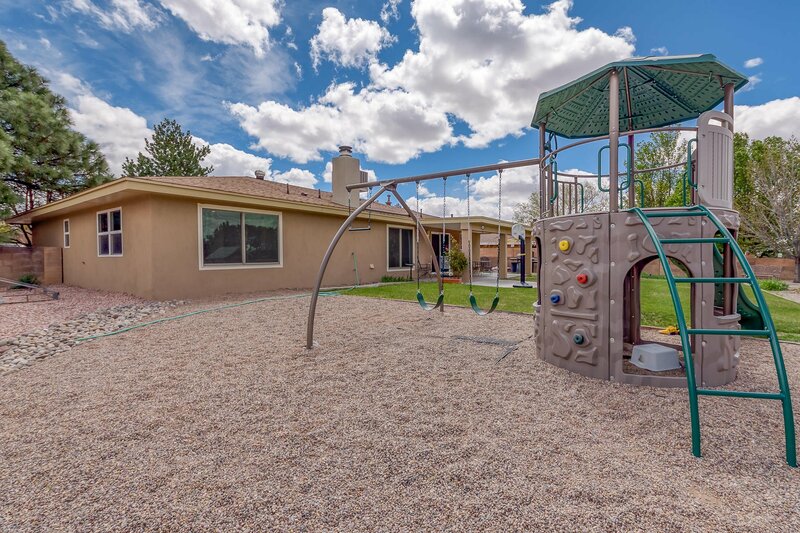 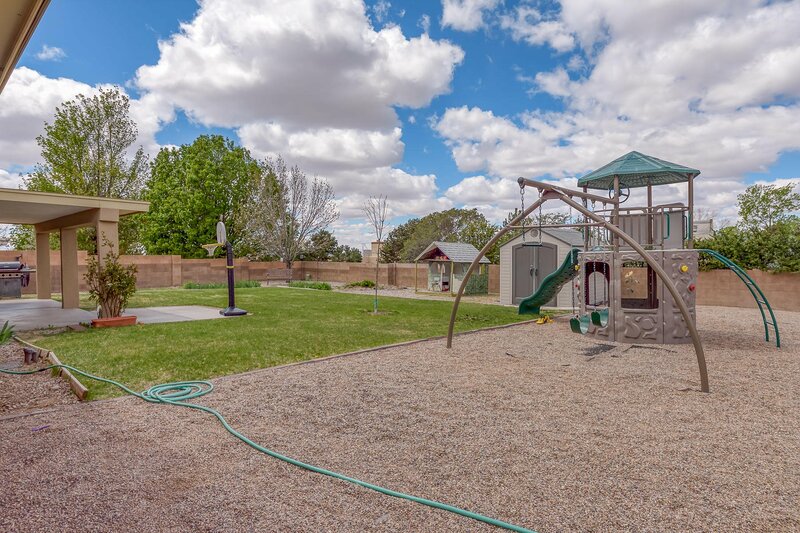 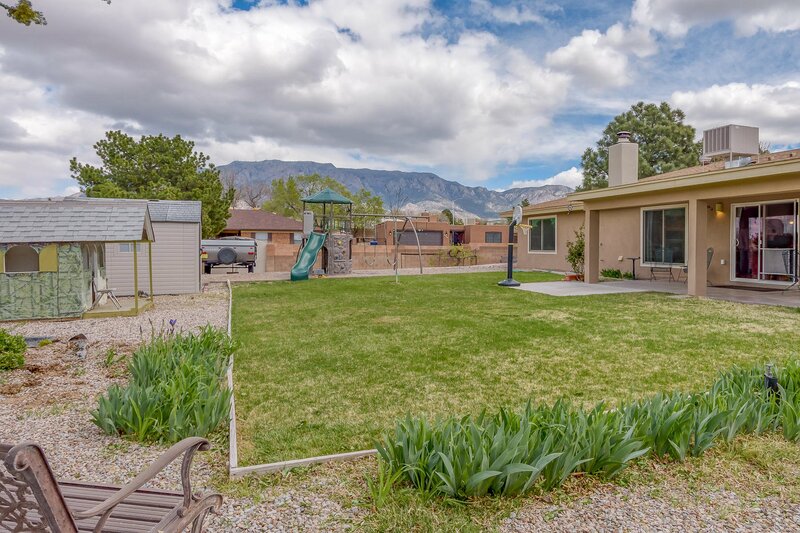 Located on a huge corner lot with RV access, wonderful play center for the kids and amazing views of the Sandia Mountains. 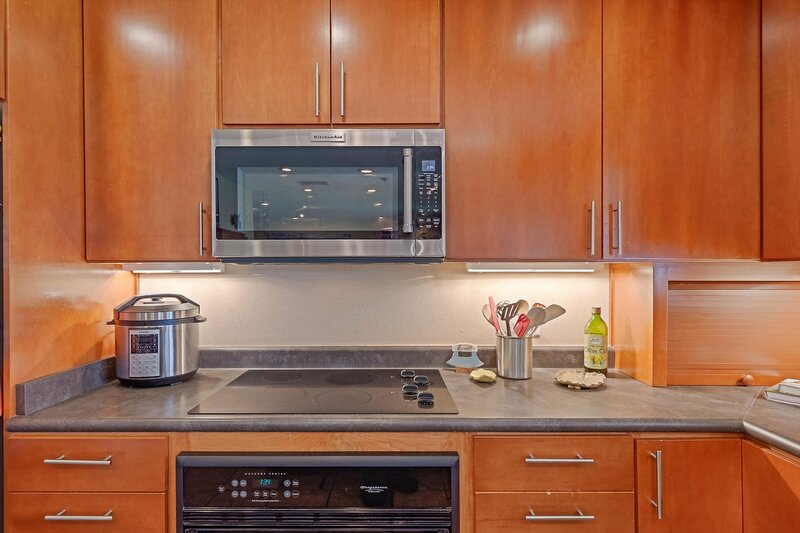 Updated kitchen with stainless steel appliances. 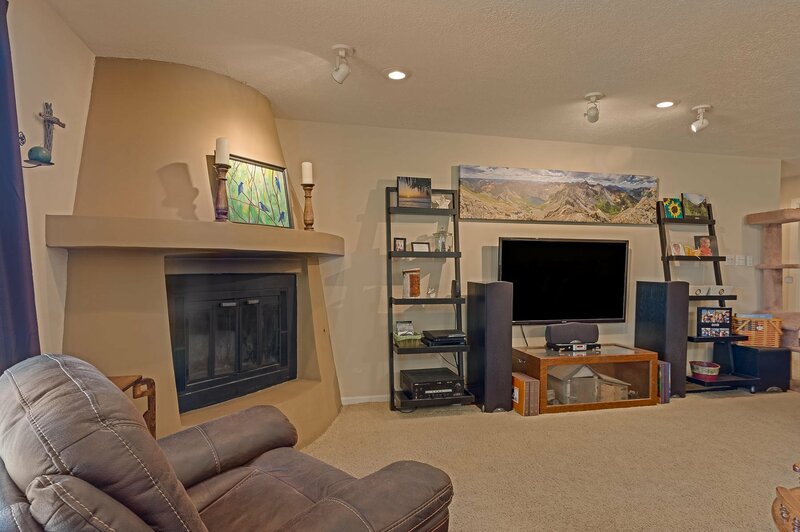 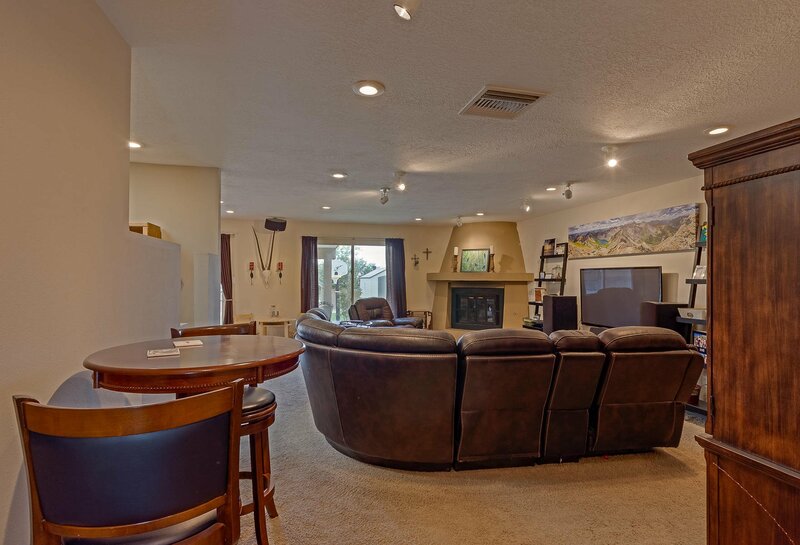 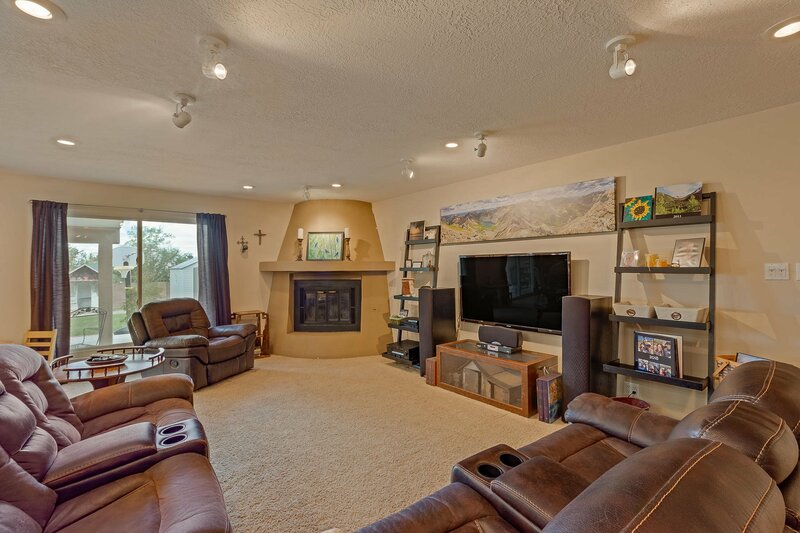 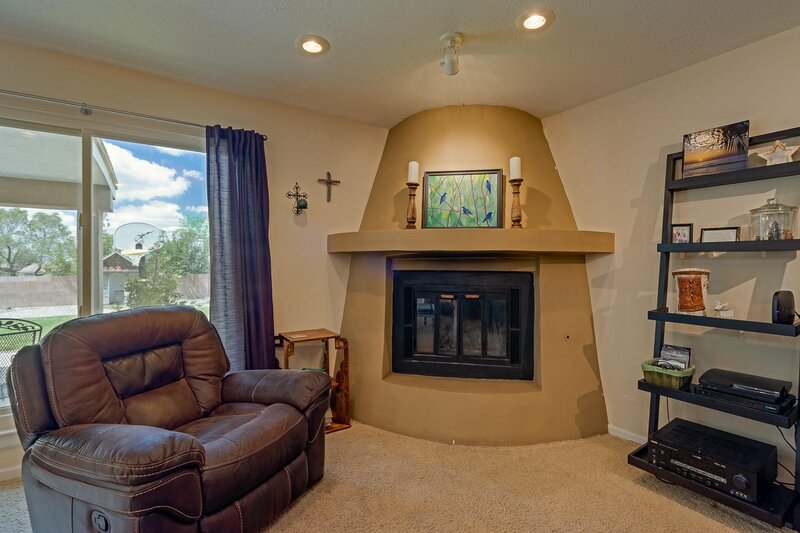 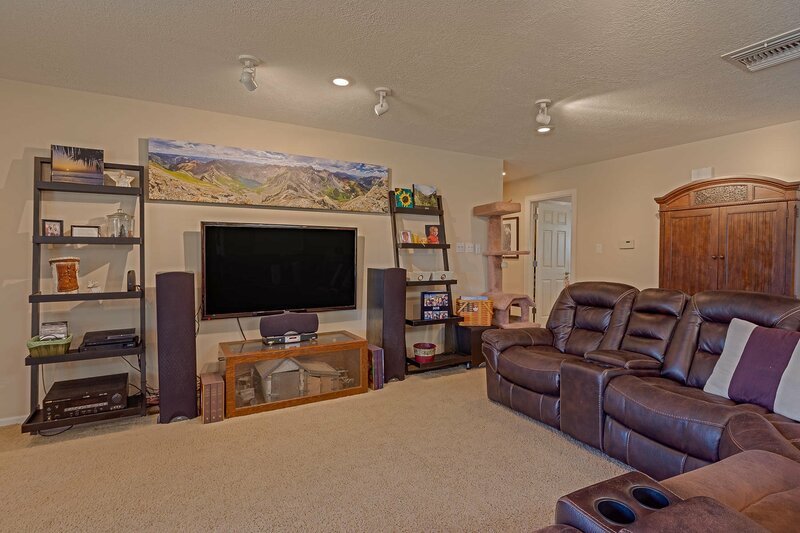 Beautiful pueblo style fireplace in the family room welcomes you. 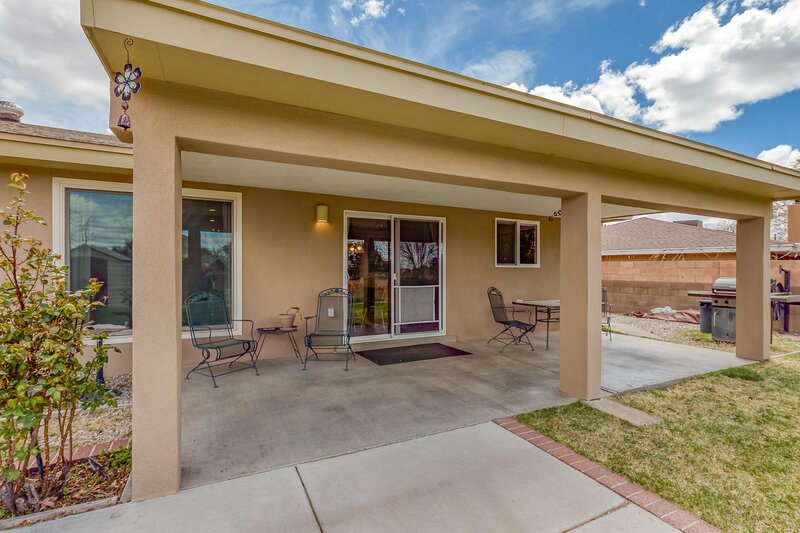 Current owners have added many updates including brand new stucco and roof in 2019. 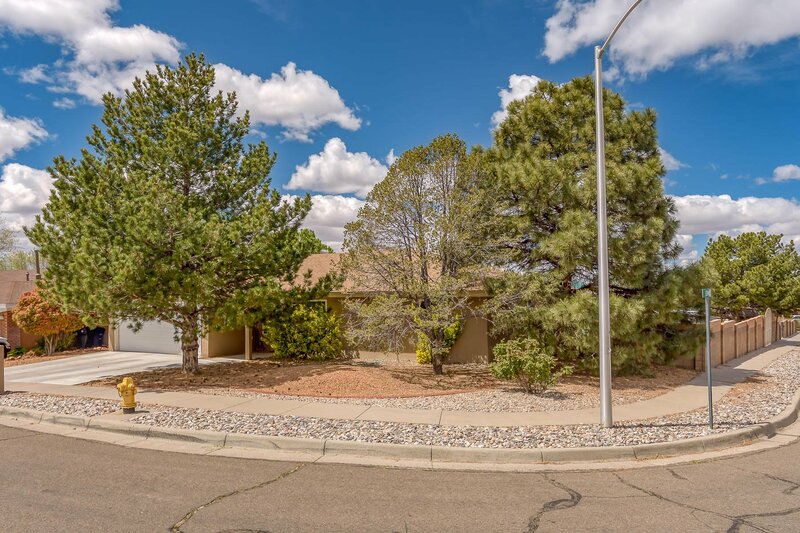 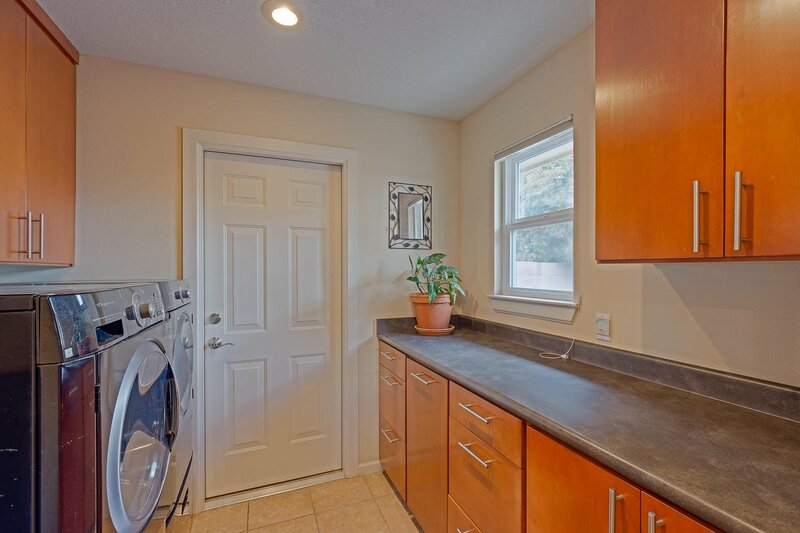 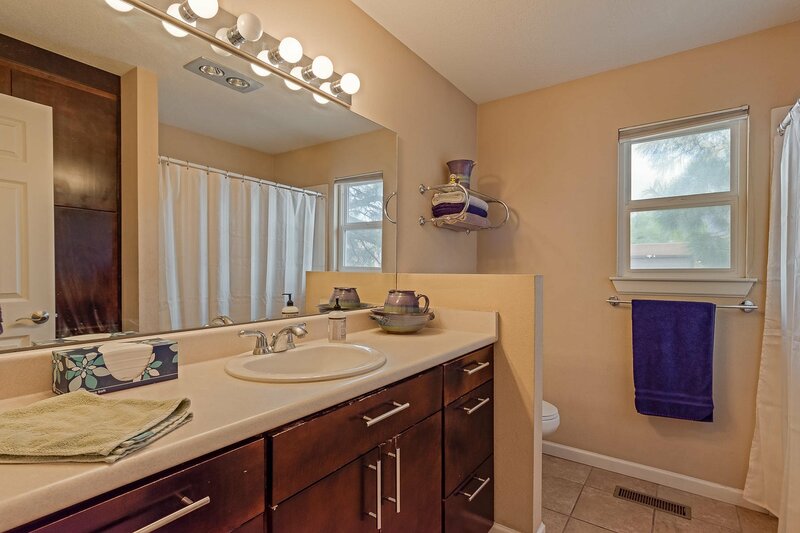 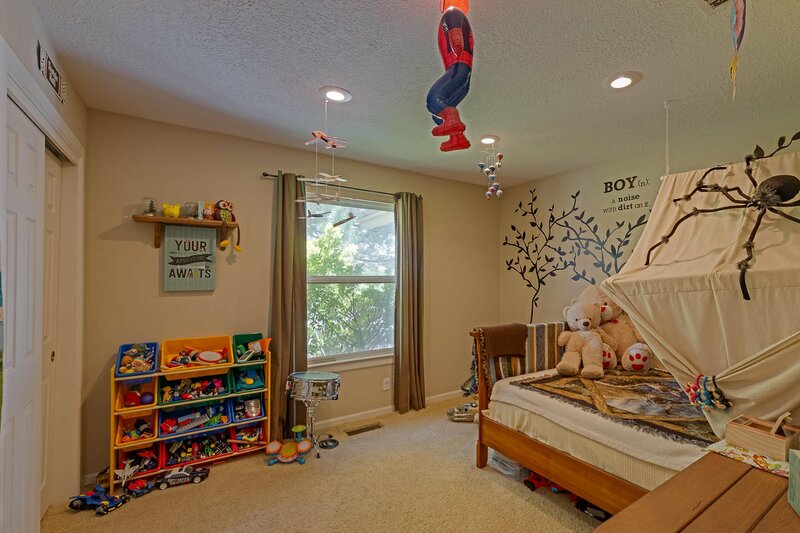 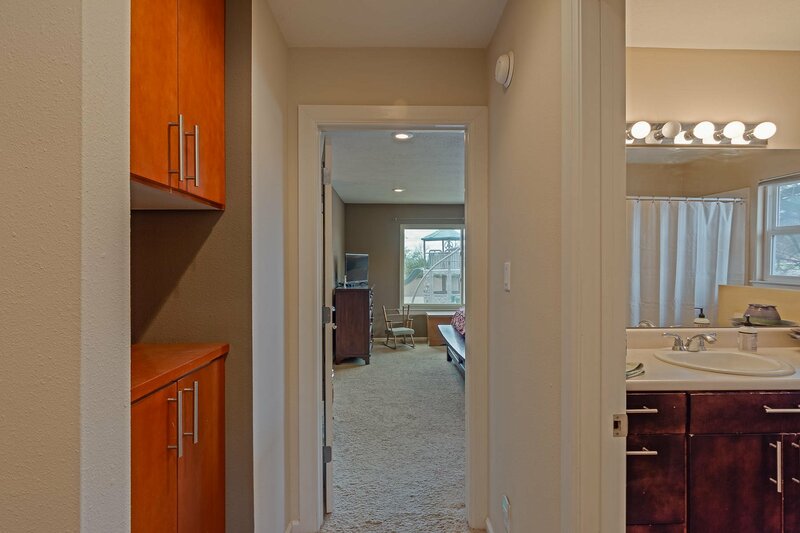 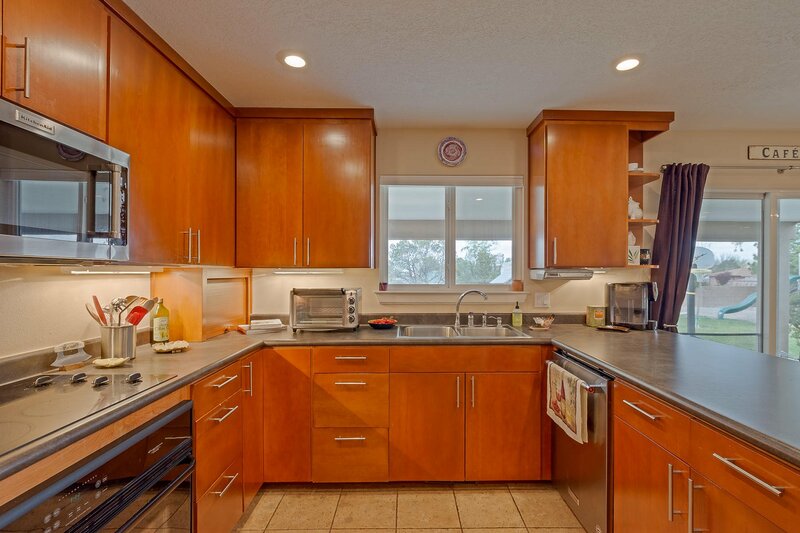 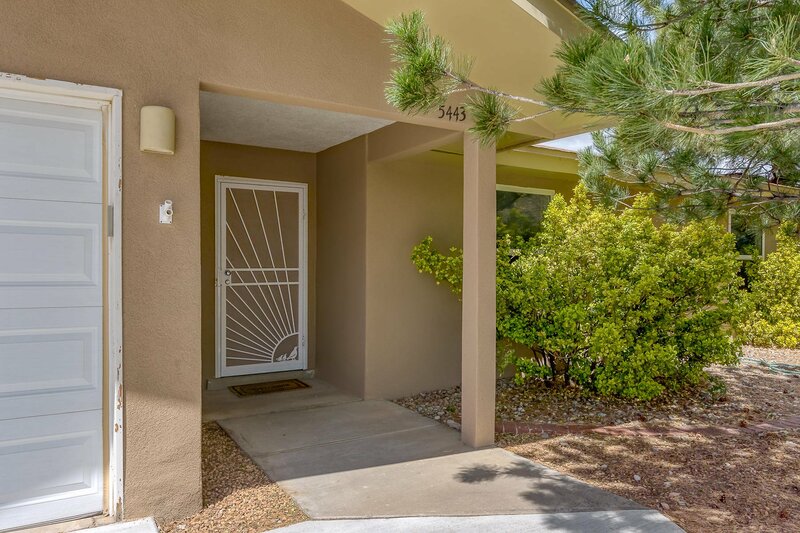 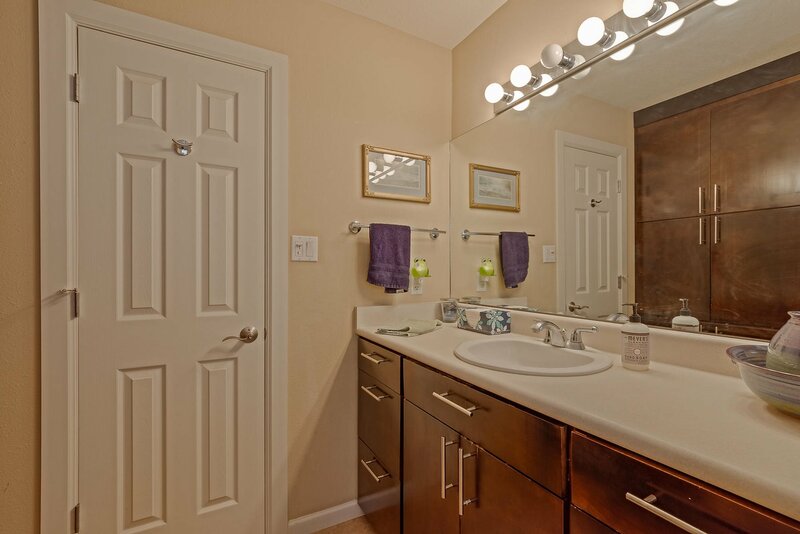 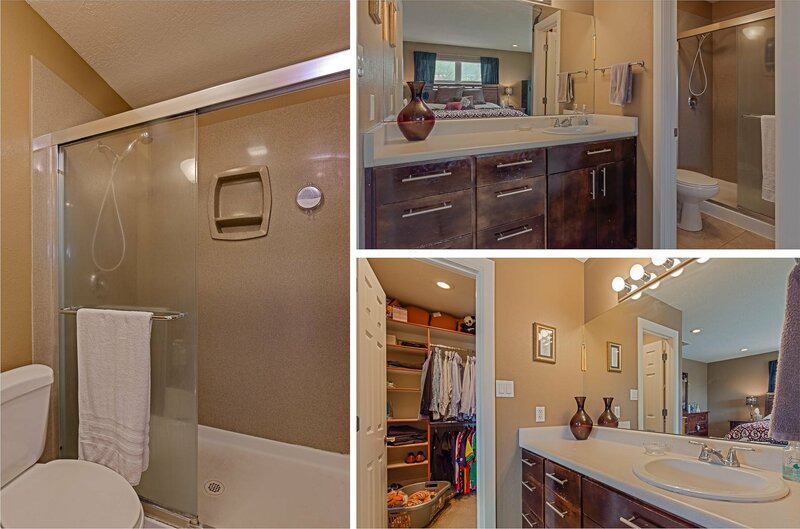 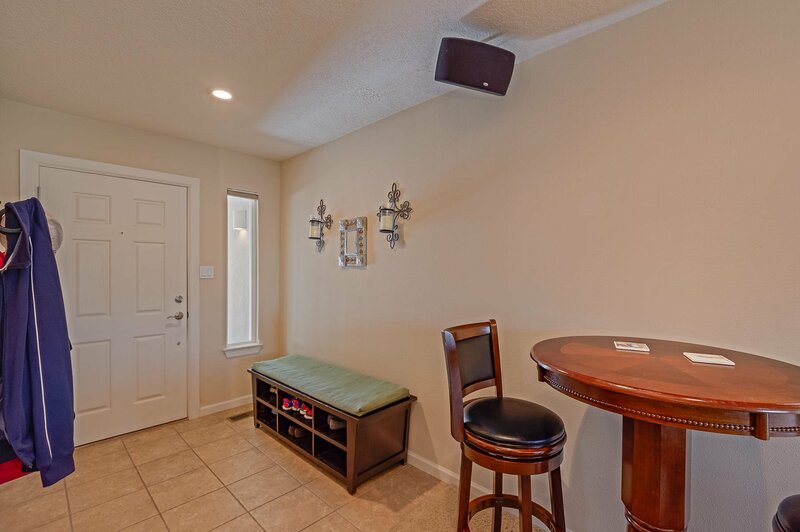 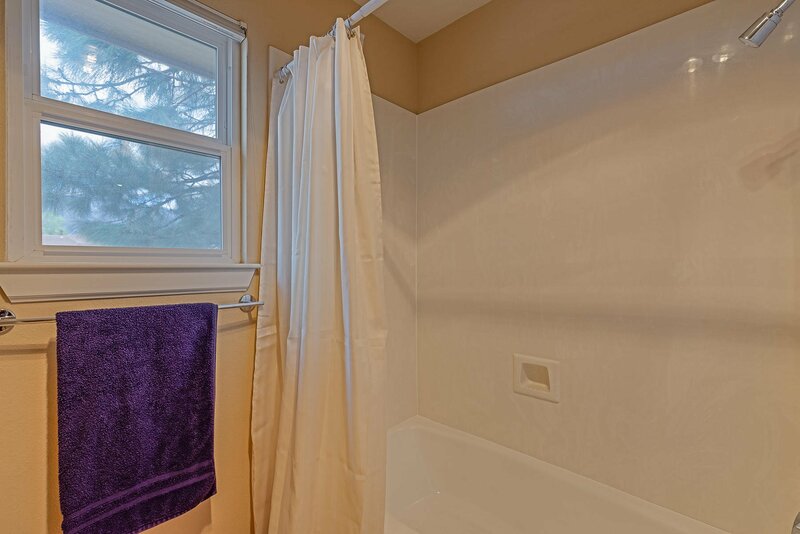 Don't wait, this won't last long in this highly sought-after neighborhood.